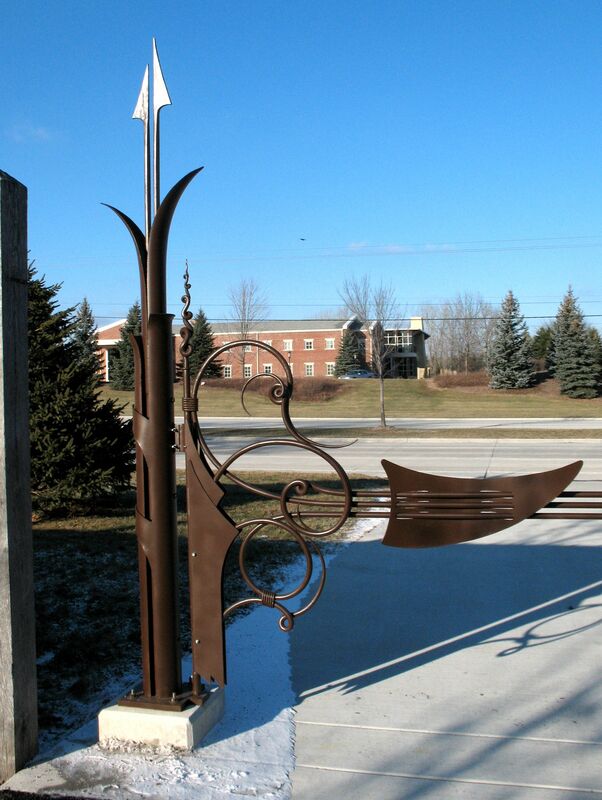 This is a driveway gate recently completed and installed for “Lynden Sculpture Garden” in Milwaukee, WI. 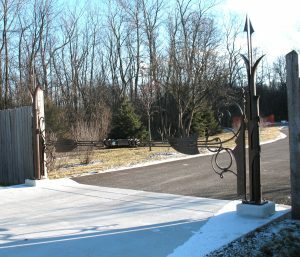 The gate was installed on a cold winter day, just 18 degrees for a high. Unfortunatley the sun was setting at the time I was able to take photos. In the future, I will have better images, and likely have professional photographer George Lottermoser take professional shots of it. It is eleven (11) feet wide, by nine (9) feet high. 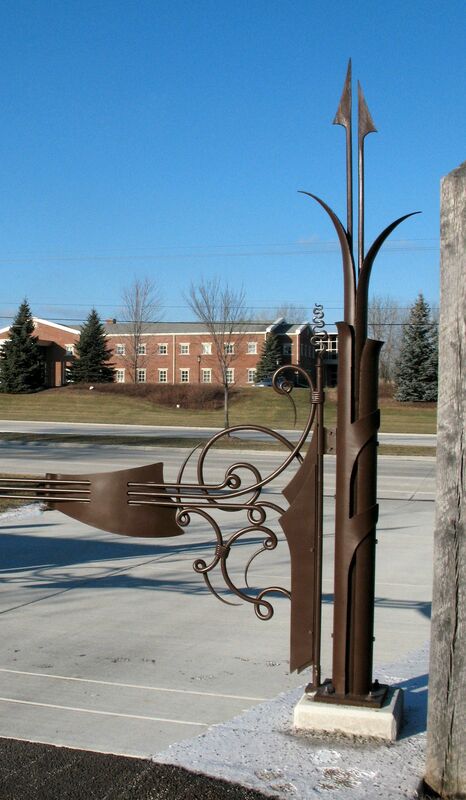 Most of the hot-forged work was made of 1″ round bar. The finish is sand-blasted, primed and top-coated with a deep, coffee-brown, marine latex paint. 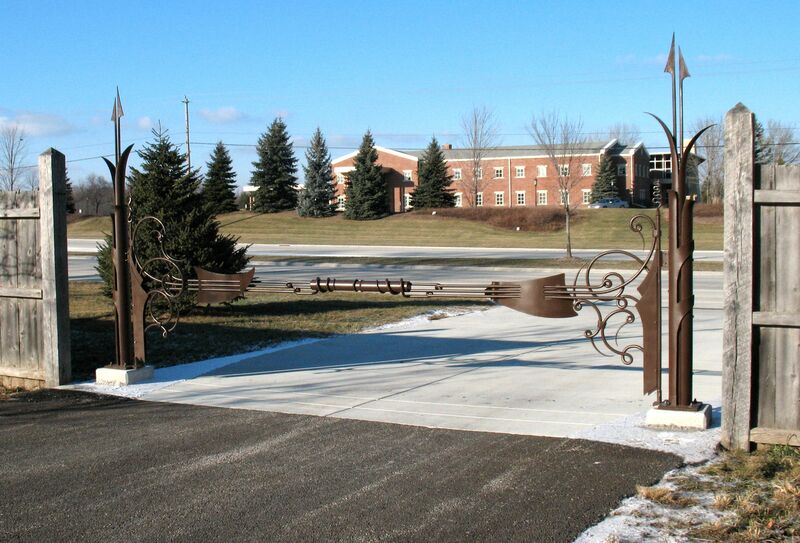 The pivot bar is mounted onto a 3/4″ ball bearing to allow ease in swinging this heavy gate. Grease fittings were also applied to keep all pivot joints lubricated, and free of rust. 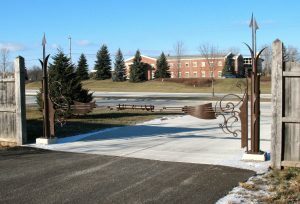 The entire gate is modular, so that it may be broken down to basic pieces for eventual maintenance. The image below shows the locking mechanism, which is composed of three tubes. To lock the gate, the smaller tube slides into the opposing gate leaf tube, and is then locked by means of a padlock, designed so that it cannot be broken with bolt-cutters. 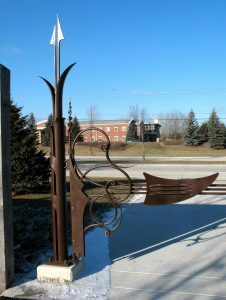 This gate is one of two I am building for the Sculpture Garden. 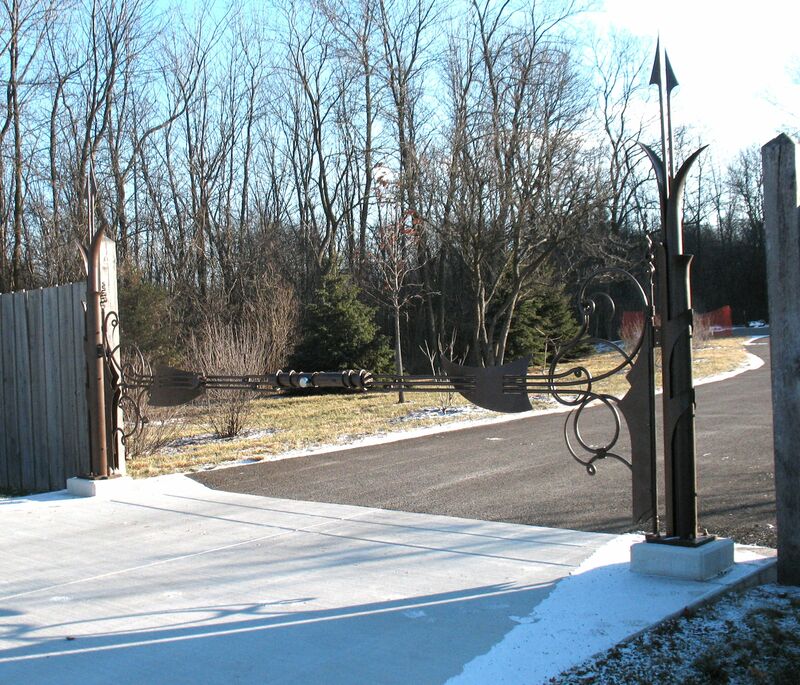 The other gate, which is four feet wider, and more elaborate, will be for the main entrance. Thats so beautiful it looks like something from a fantasy film. I hope you like fantasy films! Thank you for the compliment.